Mariana Silva Yrigoyen is a Peruvian scriptwriter and playwright who studied performing arts at the Pontifical Catholic University of Peru. She has written, among other plays, ¿A dónde vas? (2002), Interior F (2002), Sobre lobos (2013) and ¿Qué me pongo? (2015). Mariana’s play Lo salvaje (2018), which recently premiered in Buenos Aires, was supported by the Argentinian National Fund for the Arts and has been selected to participate in the Buenos Aires International Festival in 2019. 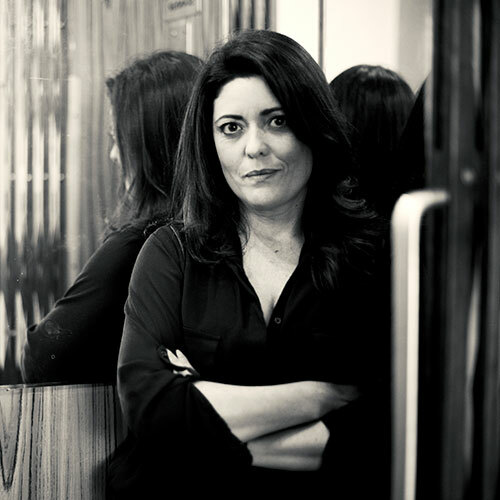 As a scriptwriter, Mariana has worked on documentaries, soap operas and series for local and foreign television. Her script Encintados was awarded a development grant from the Ministry of Culture of Peru in 2017 and is now in pre-production. Mariana is currently working on her script Zulen y yo, based on the life of Dora Mayer, the Peruvian feminist of the early 20th century, a project for which she was awarded a development grant from the Ibermedia Program in 2018. Zulen y yo — The eccentric intellectual Dora Mayer has fallen in love with her pupil, the philosopher Pedro Zulen, a man 20 years younger than her, with whom she will develop a dependent and obsessive relationship that will lead her to sacrifice her fortune, her reputation and even her lucidity.